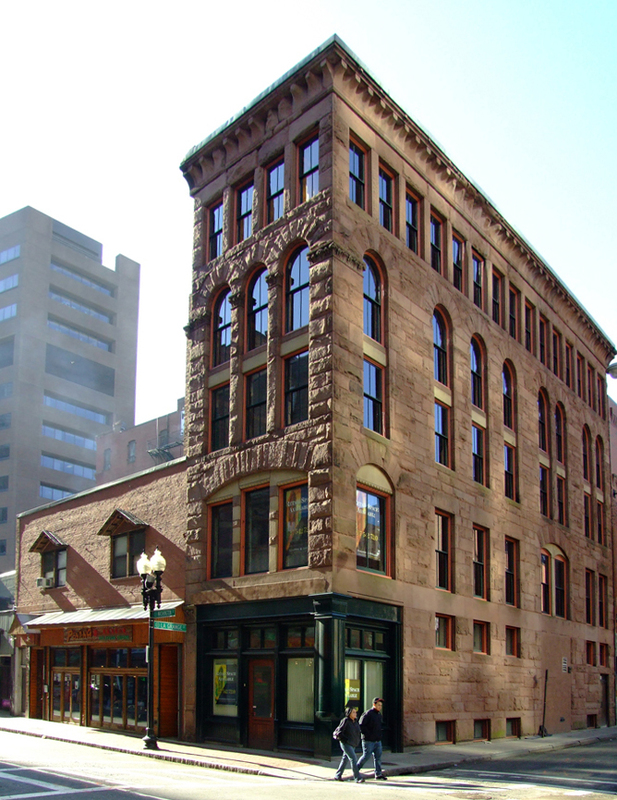 Built in 1875 as a commercial retail building by HH Richardson and added to the National Register of Historic Places in 1980, the Hayden Building today is 4-story luxury rental apartment brownstone located in the heart of Boston's Chinatown. The Hayden Building offers 4 modern, one per floor residences with elegant kitchens and baths, hardwood floors throughout, custom built-ins, moveable walls in bedrooms, and stunning views. Contact us to learn more about these luxury apartments in the Hayden Building in Boston.